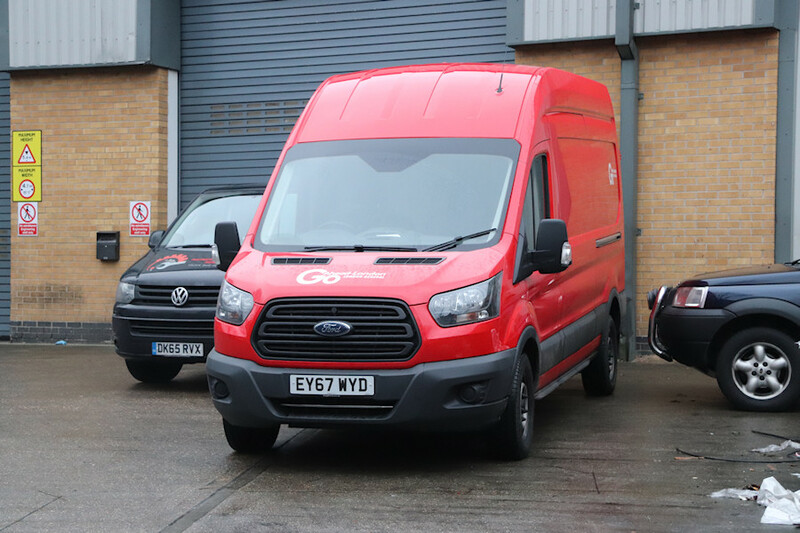 Details: The first Mk8 Ford Transit for the Go-Ahead London group was this long-wheelbase, high-roof van delivered in September 2017. I see it fairly regularly at the erstwhile Red Arrow garage in Waterloo but it is actually based at Camberwell, where Derek photographed it on 20th February 2018. TfL now specifies that company logos on buses must be in white only, and the Go-Ahead version looks slightly odd without the traditional yellow lettering.